FLEX 1 is the individual effort towards the greater good of the team. Here each member will have to step up to the platform and perform as an individual while the other three teammates support and coach them on. You will only get three attempts per athlete. Strategize and make them count. This one is on you to step up and clang and bang for the team! Each partner will get 3 attempts. Score is the combined total of all 4 teammates heaviest successful lifts. The complex will start with two hang cleans. Any style on the clean will be allowed. From there the individual will have to perform two front squats, followed by two shoulder to overhead lifts. Any style on the shoulder to overhead will be allowed. That is a total of 6 reps to be completed. 2. 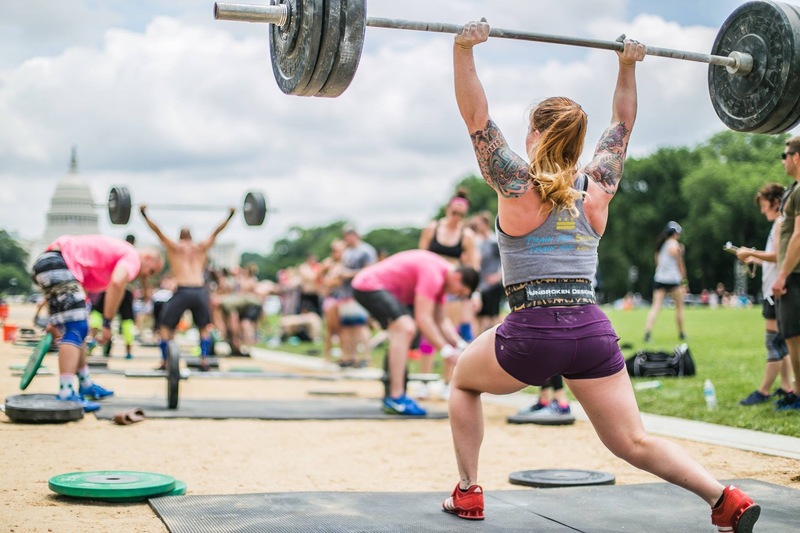 The second Clean will not be counted toward the first front squat if it is “squat cleaned” The athlete must still perform two separate front squats. 3. During the second front squat, the athlete must come to a full stand and show control at the top of the movement. The athlete will not be allowed to “thruster” the first shoulder to overhead. 4. If the athlete drops the bar at any point of the lift it will be considered a no lift and it will count towards one of the attempts. 5. Each athlete will get 3 attempts. The score will be taken from their heaviest successful lift out of the 3.